Fully customizable cutpoints and reports with correlations for D86 and D1160, and calculation of flash point per D7215 are all standard features in the Envantage Dragon SimDist software. 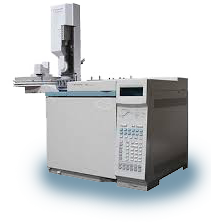 In addition to the flame ionization detector, optional sulfur and/or nitrogen specific detectors can be added for CSN simulated distillation with customized reporting options on most chromatography data systems. Please Contact Us for expert assistance with your simulated distillation needs.